Can You Find The Animals Hidden In These Unique Photographs? If you look at any wildlife photographer’s work, you’ll see beautiful animals that stand out against their habitat. These artists are experts at capturing animals in their natural state. One nature photographer, however, takes a different approach. Instead of making the animals stand out, he uses his camera to capture them blending in. Nature photographer Art Wolfe takes photos of animals that are experts at camouflage. His pictures kind of work like an I-spy game. It takes a while to find the animals hidden in his photographs. 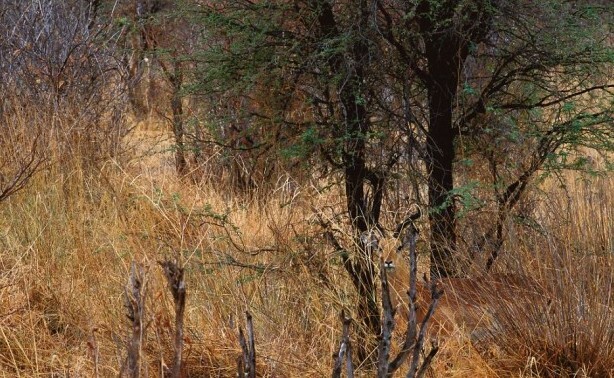 Can you find all the animals in these photos? Can You Find The Impala? An impala is kind of like an antelope or a deer. It’s in the same family as those animals. They have light brown fur which makes it easy for them to blend into this tall brown grass. These animals are also really fast runners. Luckily for Wolfe, he was able to snap a pic of this one before he sprinted away. Still can’t find it? Look towards the right side of the photograph.